The title of the accompanying document. 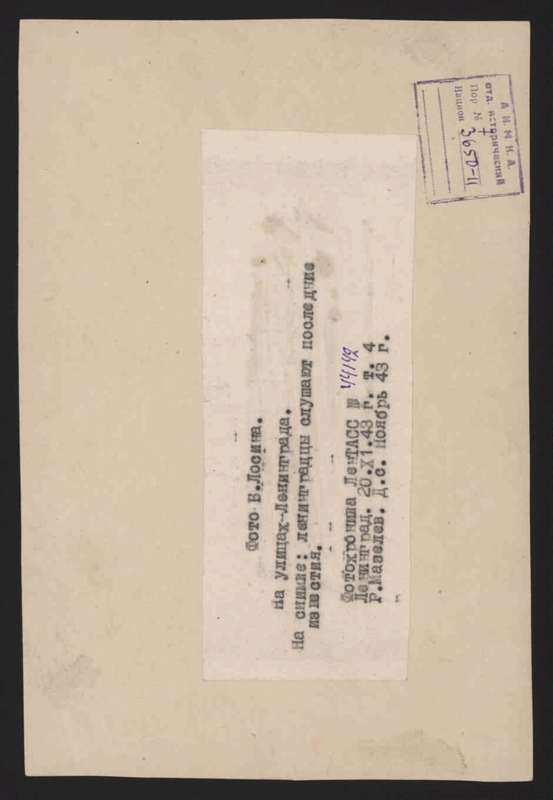 On the reverse side of the photo is a sticker with typewritten text and date: Photo by B. Losin. On the streets of Leningrad. In the photo: Leningraders listen to the latest news. Photo chronicle TASS. Leningrad. 11.20.43. Electronic reproduction (2 files, 300 dpi, JPEG, 5.2 MB). I. Telegraph Agency of the USSR. The people (the collection). 2. Memory of the Great Victory (collection). 3. Territory of Russia: St. Petersburg, city (collection). 4. St. Petersburg: pages of history (collection). 5. The Great Patriotic War - Heroes and Heroism - Leningrad, the city - 1941 - 1945 - Photographs. 6. 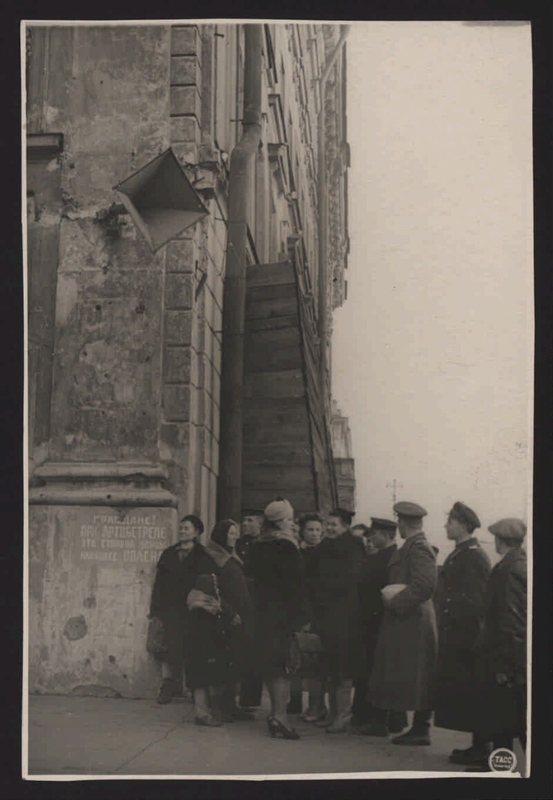 The blockade of Leningrad - 1941 - 1944 - Photographs. 7. Photos of the documentary - 1940 - 1950.